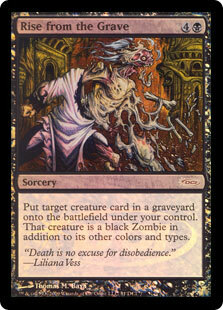 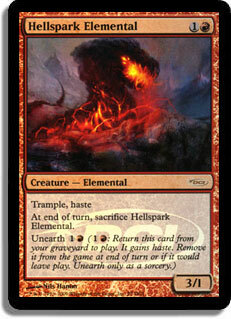 Card Text: Imprint — When Chrome Mox enters the battlefield, you may exile a nonartifact, nonland card from your hand. 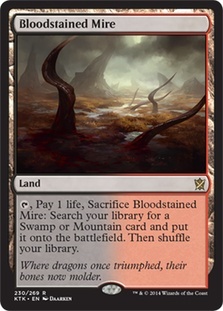 Tap: Add one mana of any of the exiled card’s colors to your mana pool. 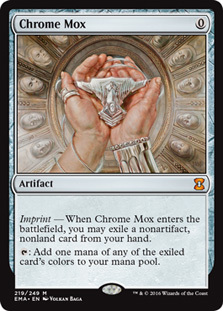 Oracle Text: Imprint — When Chrome Mox enters the battlefield, you may exile a nonartifact, nonland card from your hand. 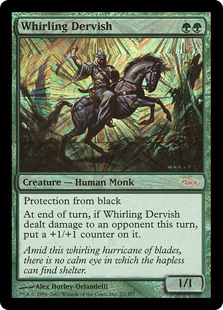 Tap: Add one mana of any of the exiled card’s colors.